Resume writing services help students and job seekers create a resume that leaves a lasting, positive impression on potential employers. Organizing previous work experience, skills, and educational background into an easy-to-read professional resume helps to catch the eye of potential employers and potentially land an interview that leads to that coveted job or internship. 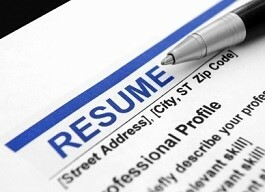 GoGetterCareers.com wants candidates to know the importance of using a professional resume writing services. Our partner, ResumeWriters.com, offers resume writing services to those who are seeking a more effective plan to secure employment in their chosen profession. Having an effective resume can mean the difference between grabbing the attention of the employer to get the interview, and having your resume placed in a stack of resumes for filing. We want you and your resume to stand out from the crowd, spark an interest with employers and win you interviews. Whether you are seeking a resume writing service to provide a Professional Resume, , Student Resume, It Resume, CV, Military Transition Resume or an Executive Resume, we have a solution for you. Using ResumeWriters professional resume service can help anyone from students just entering the workforce to veteran business professionals looking to change careers and military professionals looking to transition to the civilian sector. ResumeWriters.com provides you with access to a team of professionals who will take your current resume and/or work information, and transform it into a powerful, eye-catching professional resume that highlights your skills and experience. Professional Resume is designed for professionals in any field who have a minimum of two years of experience. Executive Resume is designed for managers and executives who are employed in any field. By using this Executive Resume Writing Service your finished product will be a resume that sets you apart form competitors. Student Resume is designed for students, recent graduates, professionals and those who have recently entered the workforce with less than two years of experience. IT Resume is designed for professionals in the Information Technology field. Curriculum Vitae – is designed for medical, legal, dental, academic, scientific and research professionals of all levels. Military Transition Resume is designed for military professionals who are transitioning into the civilian sector. GoGetterCareers.com partners only with resume writing services that employ the most talented and experienced of writers, and that can offer the best resume writing service to suit your employment needs. You will work one-on-one with a professional resume writer who knows how to write a resume for your particular profession. The resume writers you will work with are nationally certified and have years of experience as professional resume writers. Resumes are designed to fit your profession. You are guaranteed interviews or your resume is rewritten free of charge. Writers have decades of experience writing resumes. ResumeWriters.com has hundreds of thousands of satisfied customers. It takes just a few minutes to sign up to use the services offered by ResumeWriters.com. Upon sign up, you will be asked to upload a current resume or fill out an overview of previous work experience, educational background, and skills. The information that is uploaded will be carefully looked over by ResumeWriters.com and a personal writer will be assigned to you. Once a personal writer from our resume writing services has been assigned to you, the resume creation process begins. The writer will discuss your experience, educational background, skills, and accomplishments with you. This discussion helps to give the writer a general direction on how to craft the resume. A draft of your personalized resume will be sent to you within 72 hours. After receiving the draft of the resume, you will be able to request any number of revisions until you are completely satisfied with the final product. Be able to land an interview that could lead to your dream job or internship with the help of a professionally written resume from ResumeWriters.com. Submitting a resume written by our resume writing services will increase your chances of catching the eye of a future employer and hopefully landing a coveted job or internship. GoGetterCareers.com wants you to feel confident as you approach every step of the employment interview process. By utilizing our resume writing services, you can be assured you are in the best hands. Here you will find reasonable resume writing service that provides a quality and an effective resume that is offered at an affordable price. Still unsure about what service to use? The Big List of Resume Writers provides resume writing services reviews on the best Resume Writing companies that are available. Wheather you are seeking Executive Resume Writing Services, Military Resume Writing Services, or other types of resumes specific to your profession, you have come to the right place. Resume samples are also available on ResumeWriters.com that will provide you with real examples of the quality that ResumeWriters.com offers. Remember having a resume writing professional write your resume will present you to employers in your best light, enhance your confidence and allow you to perform at your best for a successful interview. We look forward to providing you with the best resume writing services available. Please direct any questions you may have regarding this service to help@resumewriters.com. Copyright 2014 GoGetterCareers.com, LLC, All rights reserved.